KTM officially launched the much-awaited ABS variant of 200 Duke in India and it is priced at Rs. 1.60 lakh (Ex-Showroom) which is around Rs. 9000 more than the non-ABS model. The ABS system of 200 Duke is sourced from Bosch and it is a single channel unit, which is not switchable like the system available on other KTM models. 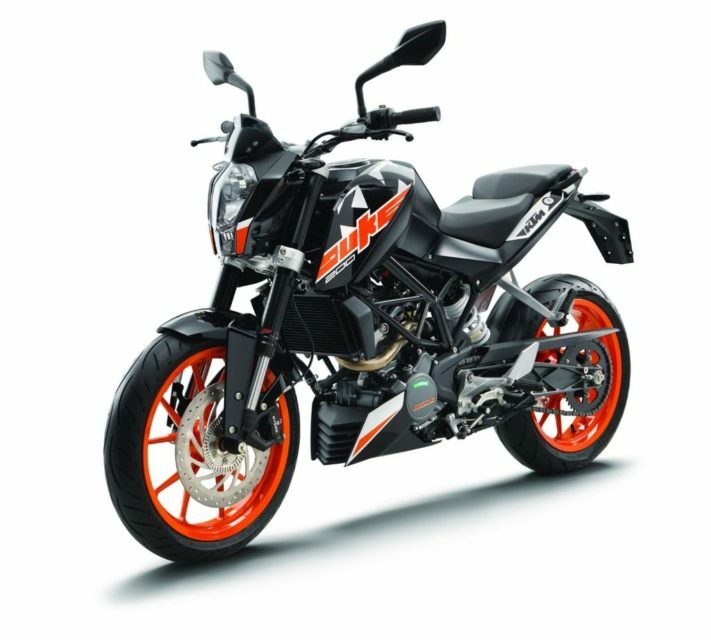 According to the new law, all bikes above 125 cc must come with ABS system and we were expecting KTM to introduce the ABS system on 200 Duke soon. The entry-level Duke is the only model in KTM’s lineup, which is yet to get a major update as the company has already updated other models with new styling and advanced features. Apart from ABS, the company hasn’t made any other changes for 200 Duke. The styling remains the same from the old model and it continues to be sporty. The front gets vertically placed headlamp along with a single piece handlebar. The 200 Duke also come with fully digital instrument cluster which gives lots of information for the rider and the company has given split seats. The rear gets LED tail lamps and the India-spec 200 Duke comes with under-belly exhaust system as the company has replaced it with side mounted exhaust in International models to meet new emission norms. 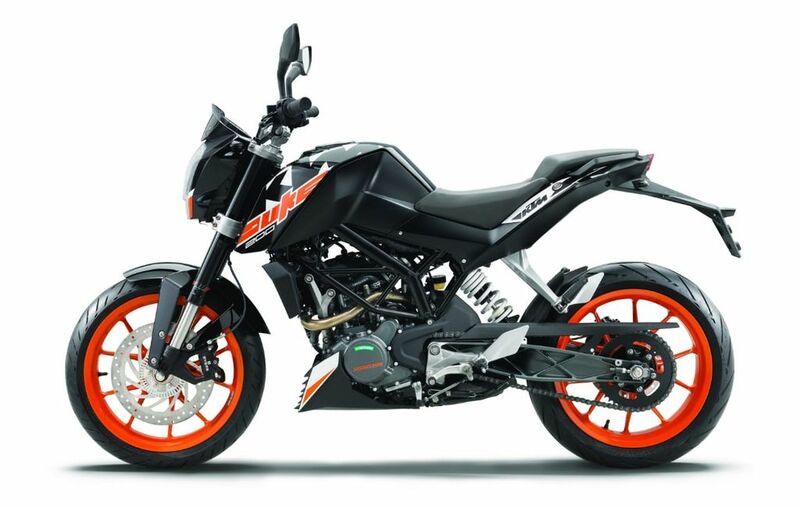 The 200 Duke is available in three colour options in India – Orange, Black and White with black or orange colour for the alloy wheels. The 200 Duke is powered by 199 cc single cylinder fuel injected engine producing 24.6 bhp of power at 10,000 rpm and 19.2 Nm of torque at 8,000 rpm. This engine is mated to a 6-speed gearbox and the performance bike can hit 60 kph from standstill in just 4 sec. The top speed of 200 Duke is limited to 135 kph. The company has given WP upside down forks at the front and WP mono shocks at the rear, which is tuned to offer sporty handling. The braking duties are handled by 300 mm disc at front and 230 mm disc at the rear. The 200 Duke comes with 17-inch alloy wheels with 110/70 section tyre at the front and 150/60 section tyre at the rear. The entry-level performance bike from KTM competes against TVS Apache RTR 200 4V and Yamaha YZF-R15 Version 2.0.